This is a FOSE plugin that enables a visible body and player shadows when in first person. Also, any points where the game force switches to 3rd person (sitting/knockout/death, etc.) are now in 1st person. This is a FOSE plugin that enables a visible body and player shadows when in first person. Also, any points where the game force switches to 3rd person (sitting down, getting up, knockout/death, etc.) are now in 1st person. 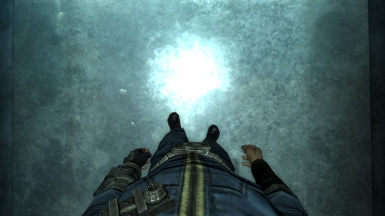 This plugin requires Fallout 3 version 1.7.0.3 and FOSE v1.2 beta 2 or higher. 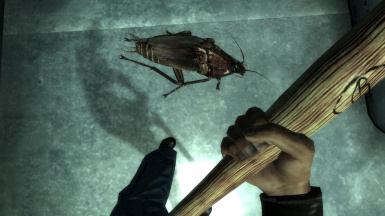 Extract the contents of this archive into your Fallout 3 Data folder. Delete "FOSE_EnhancedCamera.dll" and "FOSE_EnhancedCamera.ini" from your "DataFOSEPlugins" folder. The no gore version of the exe is not supported. 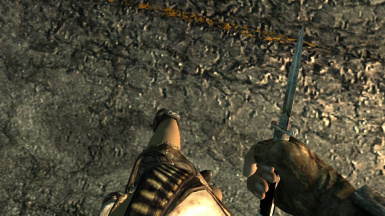 - Attacking with melee weapons with head bob disabled may cause your feet to move oddly. - Sometimes your character is invisible in the barber/plastic surgery menu until you rotate your character or change your appearance. - Your character has an adult body during the toddler phase of the tutorial. - Added ability to rotate the camera during sitting/knockout animations. - Moved the body up when dead or knocked out to reduce the chance of the camera going underground. - Added option to prevent chase cam distance from being reset during forced third person animations. - Your body is now visible when opening/closing the pipboy menu. - You can now see more of your body when sitting. - Various fixes to experimental third person arms mode. - There is no more head bob (can be re-enabled in the ini). - Fixed bug where player's body becomes transparent when entering interiors. - Added ini settings to hide the first person body and disable dialog zoom. - The Cannibal and Mister Sandman perks can now be done in first person. - Fixed some minor dialog related bugs. - Fixed a potential crash bug. - Improved camera during in-game cutscenes. The FOSE team (Ian Patterson, Stephen Abel and Paul Connelly) for their work decoding Fallout 3 and making this possible. The OBSE/Niftools team for decoding Oblivion's nif format making it easier to decode Fallout's in memory NiNode format. Bethesda for creating Fallout 3. And modders for releasing great mods and for helping to inspire this mod. This software is provided 'as-is', without any express or implied warranty. In no event will the author(s) be held liable for any damages arising from the use of this software. You can do whatever you want with this mod, just give me credits if you use any part of the mod.